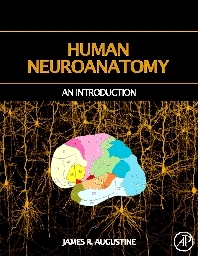 Human Neuroanatomy provides a thorough and comprehensive overview of the human brain and spinal cord for medical and graduate students as well as residents in the clinical neurosciences. Standing on the shoulders of training from outstanding scientist-teacher mentors and based on more than 30 years of experience teaching about the brain and spinal cord to medical and graduate students, this single authored text presents everything the reader would need as they begin their study of the nervous system. At the same time the experienced neuroscientist will find much useful and valuable information in these pages that is based almost exclusively on studies in experimental primates and observations in humans. Every effort has been made to present the complexities of the nervous system as simply and clearly as possible. The careful reader will discover a clarity and depth of coverage that makes the reading both instructional and enjoyable. Topics are presented logically and the text in an easy-to-read style. The accompanying line drawings emphasize important concepts in a clear and uncluttered manner. Medical and graduate students, neuroscientists, and neurologists.